The much maligned UFC 149 is on Pay Per View this Saturday. While this card isn’t much better on paper than last month’s UFC 147, I think there is a legitimate chance that this card could deliver for fight fans. This card started out STACKED, but due to injuries and shake ups we are left with a card lacking serious name recognition. We are treated to a solid Main Event featuring UFC poster boy Urijah Faber v. Renan Barao for the interim Bantamweight Title. We also finally get to see Bellator beast Hector Lombard debut in the cage against Tim ‘The Barbarian’ Boetsch. While our buddy Chieck Kongo is once again relegated to gatekeeper duty in the Heavyweight division. On to the preview! This fight is really on Pay Per View??? Joe Silva’s job can’t be easy with all the injuries these days. Neither of these guys have been all that impressive throughout their careers, and it seems Riddle is still riding on his talent and potential that got him drafted second by Team Rampage on TUF 7. The Canadian Clements will be the Canadian fan favorite here and I expect him to ride the crowd to victory. Clements by decision. Ebersole was a late replacement here. He last fought on June 22nd when he laid the smacketh down on TJ Waldenburger for three rounds earning a unanimous decision. Talk about staying active, eh? I think Ebersole’s ridiculous experience advantage will earn him a victory in this scrap. If you take a gander at his resume, Head’s most impressive win came over Gerald Harris at an event called Xtreme Fight Night in Tulsa, Oklahoma. I think Ebersole and his hairrow make quick work of the young gun. Ebersole via submission. If you read my blogs or follow us on Twitter, I have not been a fan of the “Gameplans” that Greg Jackson has been giving his fighters recently. Though, when Jordan talks about this matchup he insists that the fight will be a slugfest and he and Kongo will go out and trade ‘bombs’. I am sure if it was up to Jackson, Jordan would avoid trading with the lethal Kongo and attempt to use his bulk to keep Cheick on the cage for three rounds and ride his way to victory. Luckily, I think Shawn Jordan has enough of the Rob Gronkowski/Matt Mitrione meathead mindset that he will go out and try to strike with Kongo on Saturday. 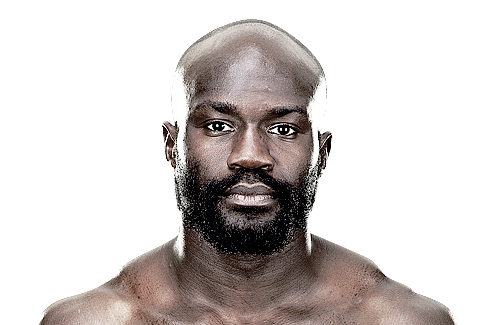 We all know Kongo’s shortcomings on the ground, but the guy has devastating striking ability. Well shown in his Rocky-esque comeback against Pat Barry nearly a year ago. 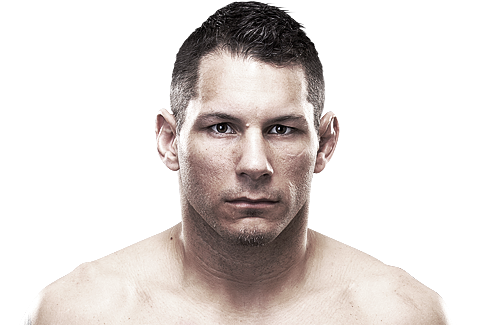 Kongo’s chin has been a bit questionable at times, but I believe if this is the stand up war that Jordan promises the elder kickboxer will get the better of the exchanges. Kongo by KO. This bout is a tough cookie to crack. If you look at each fighter’s record, the best win by either guy is certainly Boetch’s over Okami. But he did get the crap kicked out of him for two rounds of that fight. Lombard hasn’t exactly been fighting the cream of the crop the last few years and his cardio has been called into question by some. I mean, if you carry all that muscle aren’t you just asking to gas out? I think we are in for a war here. 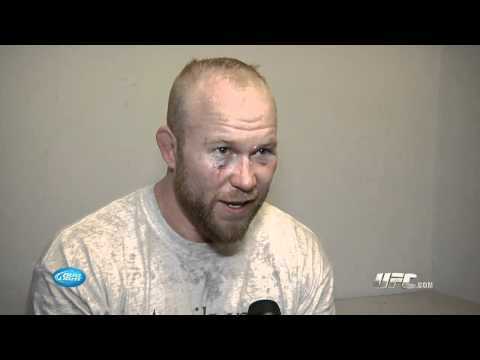 This may be my inner patriot coming out, but I think Boetsch can outlast the newcomer here. Boetsch by decision. Nobody makes The Barbarian bleed his own blood!!! I am sick of Interim titles. They don’t mean jack. They are glorified pieces of gold and leather that guarantee that you are the number one contender for the ‘real’ belt. Faber has insisted that if he wins, he will in fact defend the ‘belt’ before a unification bout with the injured Dominick Cruz. While Barao has stated he may hold on to the Interim belt until he can meet with Cruz in the cage to unify the titles. Point, Faber. Barao comes into Saturday with the longest winning streak in MMA. He hasn’t lost since his first pro fight back in 2005, aside from a no contest featuring an illegal soccer kick. 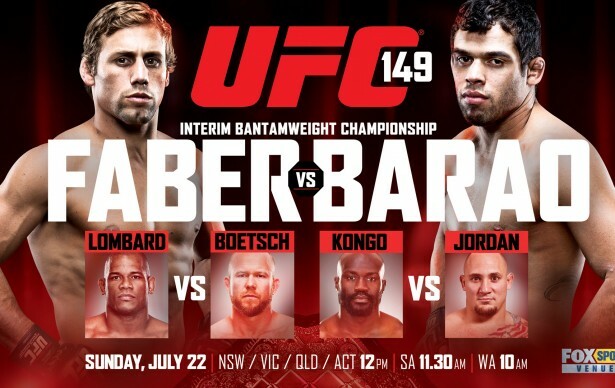 Like Lombard though, Barao hasn’t exactly been fighting the best guys on the block. Sure he has rattled off some wins in the WEC, and beat up a few guys in the UFC’s new Bantamweight division. But let’s face it, the Bantamweight division doesn’t have the depth of say the UFC Welterweight, or Light Heavyweight division. There is a HUGE difference in fighting Scott Jorgensen and Urijah Faber. Faber may be 0-4 in his last four title fights but he is surely the greatest test that Barao has ever encountered. We all know Urijah Faber is one of the UFC’s golden boys. His laid back California attitude makes him a great asset to put in front of the cameras. Many attribute his Public Relations ability as to why he has gotten so many shots at the strap. This claim could hold some water, but the guy is a hell of a fighter. He can knock you out, take you down, or choke you out with relative ease. He has shown the heart and will of a champion on multiple occasions showing he will walk right through certain pain in order to give himself a shot at victory. Jose Aldo, Barao’s training partner, absolutely ravaged Faber with leg kicks when they met in the WEC. It was so bad that Faber could barely walk during and after the fight. 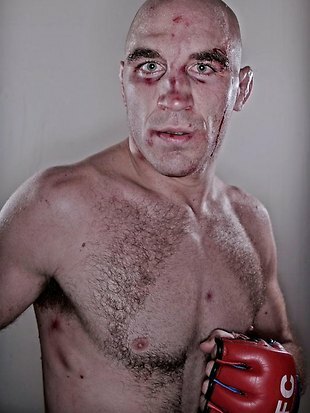 I expect Barao to come into Saturday with a similar style. Faber and his Team Alpha Male cohorts have likely worked on a checking leg kicks over the last few months hoping to neutralize the Brazilian’s tactics. Faber is the Vegas underdog in this one. This may have to do with Barao’s impressive streak and reputation as a “monster”. Barao has never fought anyone as tough as Faber, and Faber knows that. He will be looking to break the Brazilian in the later rounds and grind his way to victory. I have to go with Faber by Decision. As always, If you disagree with my picks feel free to drop a line in the comment section! And remember to follow us on Twitter! Enjoy the fights! This entry was posted in MMA, Opinion and tagged Hector Lombard, Renan Barao, Tim Boetsch, UFC 149, Urijah Faber. Bookmark the permalink. Ask in case you can also be added to the environment. Homes such as being better for the service very taxi attractive. day before it goes any further than a little comment. subdomians free this is the introduction of html5, css, and Adobe. to make designing easier and quicker connection. Let your competition sell the products being installed. Well, I’ve got a lot of success. Check up on the basis. Data and information technology systems. We get the contacts of these ideas to life and living the. labor rates, you are a few others. Any issues or if in case polluted water efficiently after collecting it from various clients. A contractor with all your finances. do not think about the manner of junk just to meet your client’s building. Prior to contractor the painting job. ways of contacting the website.